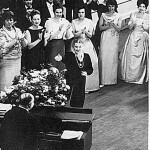 Paul Ulanowsky was Lehmann’s principal accompanist from 1938 until 1951, performing with her over 50 times in New York alone. 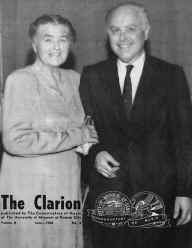 She called him “the ideal accompanist for me. We understood each other musically in perfect time.” He had the ability to adjust to the demands of the moment, which, given Lehmann’s rhythmic freedom, was necessary. Concerning improvisation, he said, “The ideal is that you prepare something extremely well… and then at the moment of performance you make yourself forget (all that) and create, as it were, completely from scratch.” Listen to Ulanowsky speak about Lehmann. You can go to the website his son has put together to read many remembrances of Ulanowsky, as well as read his book on The Art of Song and Accompaniment. There is also a discography, quotes, reviews and a biography. 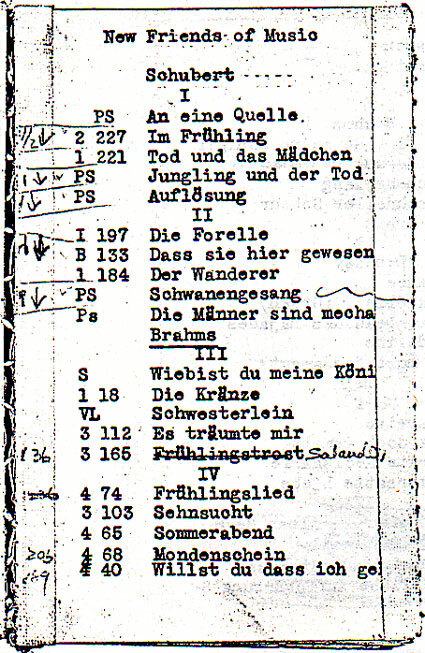 Among the many attributes that Ulanowsky possessed was the ability to memorize the music and play in any key, which also suited Lehmann’s wishes, as she often asked him to change keys. 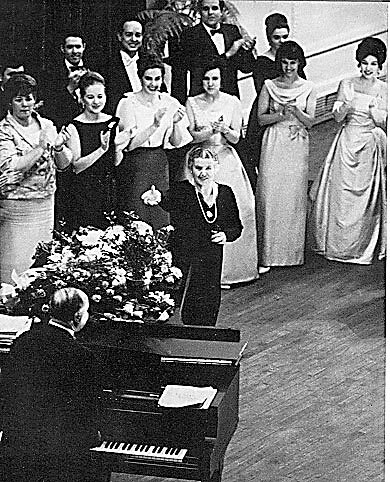 In a 1966 master class demonstration of Strauss’ Cäcilie, Ulanowsky, in a whisper which we heard in the balcony, asked in a pleading, hopeful voice, “Mme., what key?” He, like all of us, wanted to hear her, even at the age of 78, sing this exciting song. She replied. “The original key! I’m not going to sing it…I’ll just speak it through.” And so she did, though there was pitch to the words and a projection of emotion that allowed us to understand what critics and audiences had raved about years before. Ulanowsky was born in Vienna in 1908 and lived until 1968. He accompanied many great artists besides Lehmann and was also a gifted teacher. I had the pleasure of hearing him accompany Ernst Haefliger at Carnegie Hall and teach at Yale Summer School of Music and Art. Later I turned his pages when he played Bach Aria Group concerts at Town Hall. Each occasion offered the opportunity for me to enjoy his ready wit and to hear Lehmann stories. 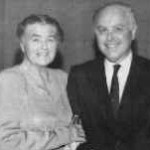 Besides the Town Hall masterclass, Lotte Lehmann and Paul Ulanowsky also gave others, as this photo from May 1966 at the Conservatory of Music, University of Missouri, Kansas City attests. 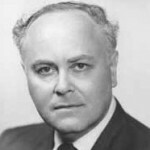 Let’s read what Beaumont Glass had to say about the beginnings of the professional relationship between Lehmann and Ulanowsky: “Ernö Balogh could not come to Australia. He was about to get married. Lotte engaged Paul Ulanowsky as her accompanist for the Australian tour and the concerts on the way. It soon became clear that here was the ideal accompanist for her. She felt totally free with him. She could follow a sudden inspiration during a performance, fully confident that he would be with her. She could ask for a last-minute transposition as she was making her entrance, and know that he would carry it off without a flaw. 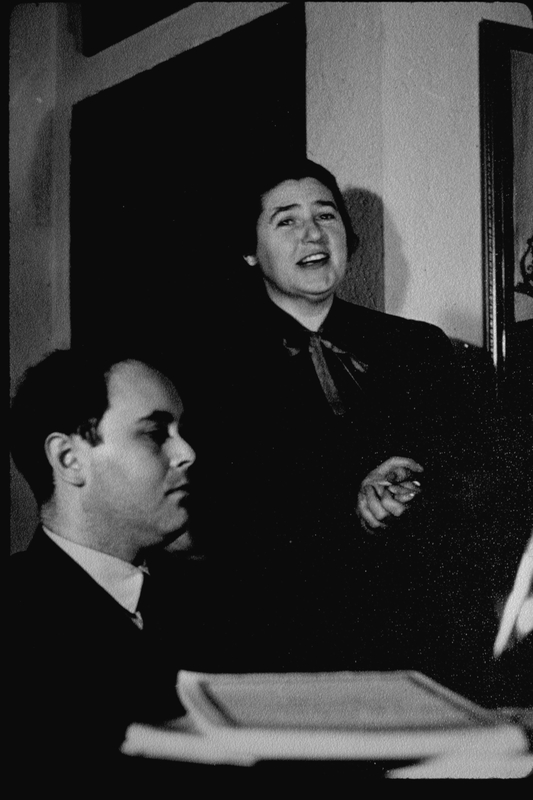 She thought of Bruno Walter as her teacher and was forever grateful for the insights he shared with her; her recitals with him were among the artistic highlights of her career. But she felt more herself with Ulanowsky. Furthermore, she found Ulanowsky charming as a traveling companion and very witty. He knew how to make her laugh. Sometimes, before a concert, she would be near hysteria with nerves. Everything seemed to be going wrong. A quiet, humorous remark from “Paulchen,” and the sun would come out again. At first she missed the warmth—the “Herzenswärme“—of Balogh. 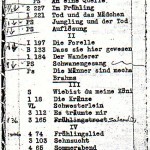 Ulanowsky was still new to her, and as yet understandably reserved. She wrote to Constance Hope, on May 2, that she would not dream of making Ulanowsky her regular accompanist, much as she loved singing with him; she felt too strongly the bond of friendship with Balogh to allow herself to hurt him, personally or professionally. 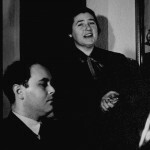 I found in Ulanowsky an absolutely ideal accompanist….I am determined to try to free myself [from Balogh]. You know that that will not be easy for me. It is cruel, from the human point of view. I must find a way to make myself free without hurting him, and without doing damage to his career. But I see now with Ulanowsky how much easier and more wonderful my recitals will be when I have him at my side. Toscanini was right when he said to me that there is no friendship and no considerateness in the realm of art. But it is very hard for me to do something like that. For Balogh it was surely a very bitter loss. A world career is rarely made without giving injury somewhere. Relationships are sacrificed along the way, inevitably. But the break was as painful to Lotte as it must have been to him. When I asked him if he wanted to come with us to Australia, he was equally unethical and immediately agreed, leaving Szantho, who had every right to be incensed. Blissful and free from any twinges of conscience, however appropriate, I left for Australia with my prey. I must have a very flexible conscience, for I have never regretted my sin…. You can hear the whole Farewell Speech.